If you watch almost every Youtube review or read every blog about the 911 T you are going to get two conflicting opinions. They either say that the Porsche 911 T is a baby GT3 worth every single penny. Or, they claim that it's a giant money grab and rip-off by Porsche to get people to buy fake "edition" cars. They are both wrong. To think of it in either of those terms is to completely miss the point of the 911 T.
To better understand why the 911 T is more than just a money grab, let's first take a look at the finer points of standard and optional equipment available on the T.
Now all of that sounds like a bunch of terms engineers threw together at the behest of the marketing team but, if you dig down it makes for an intriguing package. You see, the 911 T is centered around exactly one thing and that's driving engagement. If you opt for the PDK transmission as most 911 buyers are doing these days, you lose all of the luster and flair that comes with the T. It simply becomes a 911 C2 with a 10 mm lower sport suspension that you can easily replicate after-market, rear axle steering as an available option, and Sport Bucket Seats as an option that you can also tack on thanks to third party vendors in a regular C2. It hardly justifies the $11k increase in price point for a car that has the same horsepower and torque. I get that I am ignoring the weight saving measures throughout the car and the lack of sound insulation but let's be realistic, most of you don't care about those things. However, when paired with the manual transmission, you get a complete package. You get a 911 that is built around driver enjoyment. Or as the Miata faithful love to repeat over and over, "more smiles-per-mile." The shorter gear ratio in the manual transmission sounds corny but I have driven a number of 911s throughout the years and the shorter throws just feel better. Do the performance figures line up? Who the hell cares? If your metric for what you bought was 0 - 60 times or horsepower figures, then you wouldn't be looking at anything less than a Turbo S. Or, even a Mcclaren for that matter. But, for the rest of us it is all about the feel behind the wheel. Then when you consider the Porsche Torque Vectoring coupled with a lowered suspension that gives you a VERY drastically different drive, you start to get what the 911 T is really about. There's a reason why Sport Chrono equipped Porsches have a G-Force meter. Even the GTS Route App which is a pretty neat offering focuses on driving routes with corners. If straight line fun is your jam, you're probably not buying a Porsche. To make the 911 T worth it the manual transmission is a must. Personally, I think that the Sport Bucket Seats are a must too. For one it will help with resale value down the line if you decide this isn't your "forever 911." Secondly, losing the back seats and having a seat that is lighter will just add to the fact that the T is already the lightest 911 available. But buyer beware, if you are not as nimble as you once were or have a bigger frame, getting in and out of the Sport Buckets may be a production each and every time. I'm not as spry as I once was and I certainly put on some sympathy weight during my wife's pregnancy but, I am still pretty mobile. And there is no graceful way for me to get in and out of those seats. As long as you aren't image obsessed though, they are 100% worth it. Just know you won't look like Tony Stark stepping out of his R8 no matter how much product you put in your hair. With the manual transmission you will gain the stronger cornering abilities from the Torque Vectoring as well. For those of you who don't understand how PTV works simply put, when cornering hard it puts moderate brake pressure on the inside wheel which in turn generates greater drive force on the outside wheel. In effect it helps reduce the destabilizing side forces which your car is fighting in hard turn-ins which makes for a tighter, more controlled cornering. If you add in the optional rear-axle steering you have a car that has incredible balance and control in the bends. 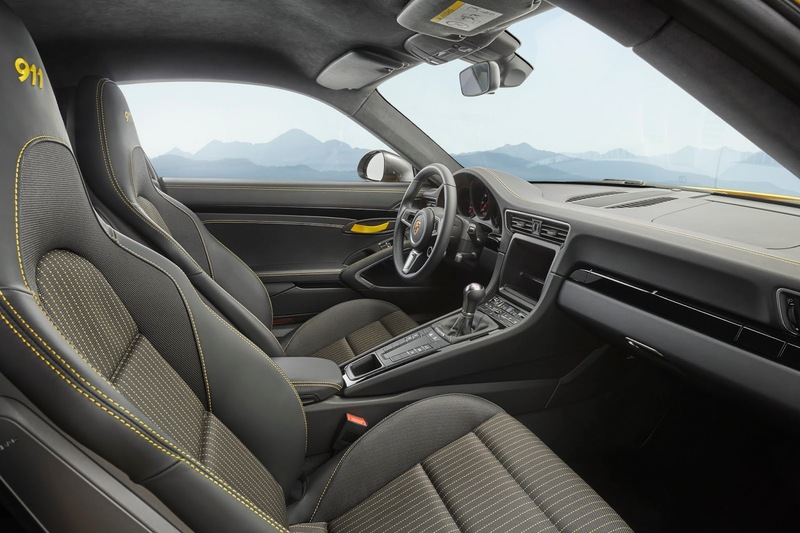 Now all of these super technical engineering advancements mean that the 370 hp engine in the 911 feels every bit as powerful and dynamic as you would expect. But there are also the intangibles as well that we should address. The 10 mm dropped suspension makes the car feel incredibly low and sport by comparison to the standard suspension. 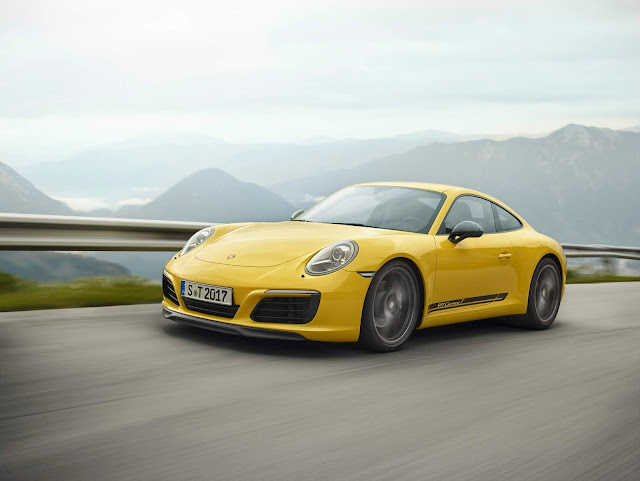 Additionally, removing the the sound insulation means that the beautiful crackle and pops of the standard of Sport Exhaust system come through as clearly as they do in the 911 GTS models. And for me personally, my favorite part about driving any Porsche is the exhaust note. Add in the cloth door pulls and it makes for a tangible more tactile drive and feel to the car. It calls back to the beautiful simplicity that was sports cars of the past. 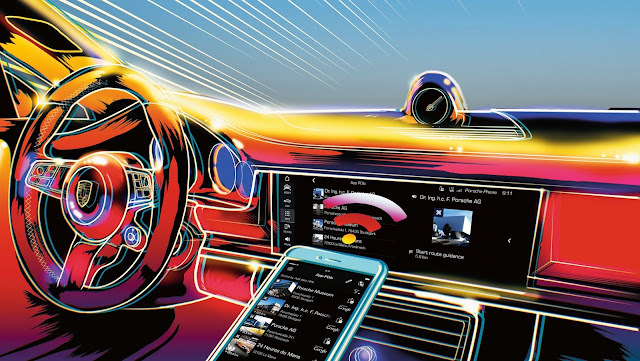 Which is a welcome change as companies sprint to stuff more and more convenience technologies and future forward features that translate to a less engaging drive. The 911 T serves as a reminder of why we love sports cars. Lately I have been recommending 911 buyers to chose one of two cars, the 911 T or the 911 GTS. Everything else feels unnecessary. The T will never be a baby GT3. The T isn't a money grab from Porsche. Simply put, it's a Porsche that is designed to remind you of why you fell in love with Porsches to begin with.